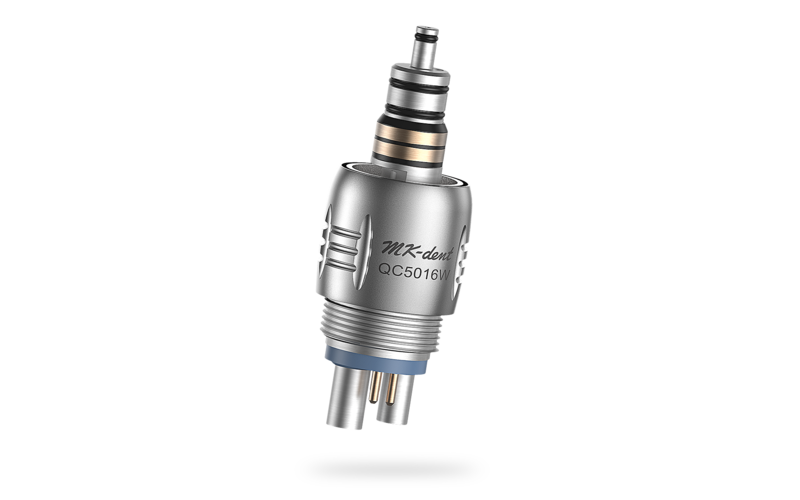 Equipped with available non-retraction valve and water volume regulation, MK-dent couplings offer a great variety of options. Perfect dimensions with minimal tolerances allow the usage with all suitable handpieces. In combination with MK-dent LED and Xenon bulbs as well as glass rod fiber optics, available couplings provide 100 % glare-free light. With a color temperature of 5500 K, the glass rod and bulbs are designed for color accurate illumination of the preparation area.